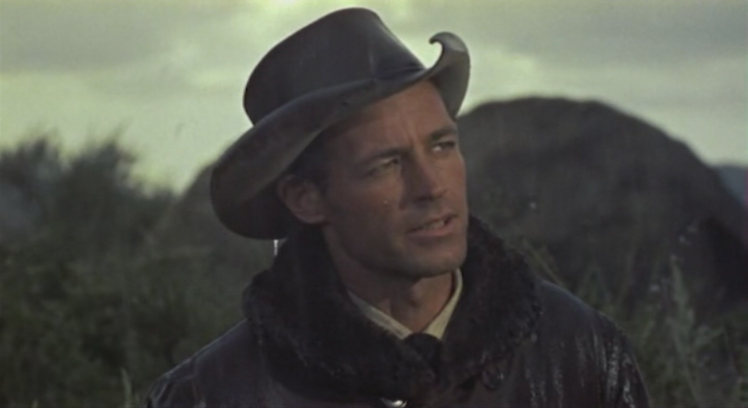 Guy Madison is Steve Burden, a rather ruthless deputy sheriff who prefers to bring in his fugitives dead rather than alive. 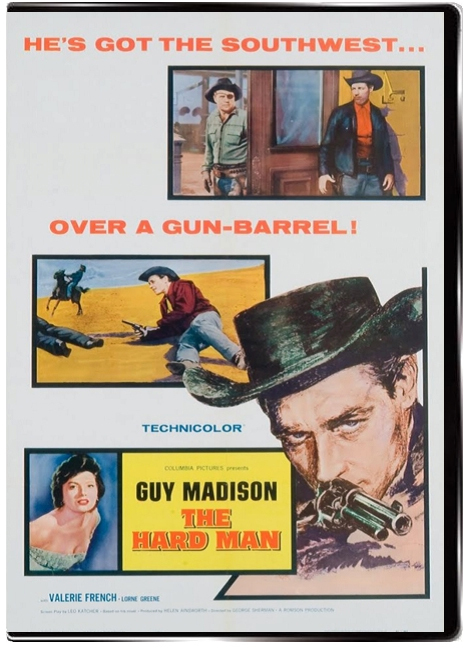 Things go bad though when an old friend (Myron Healey) he's sent to track down tries to outdraw him - Madison is forced to shoot his old pal who's been accused of murder. Before Healey dies he gives Madison a convincing story that he was framed: a story most of the public believes. This sends Madison off to a nearby town looking for answers. All lines of inquiry lead to scumbag cattle baron Rice Martin (Lorne Greene) and his unhappy wife Fern (Valerie French). Martin is a brutal thug who has increased his herd through rustling, and he's got a nice batch of gunfighters on the payroll to keep questions to a minimum. However, his wife Fern is tired of her cruel husband and is looking for a way out of her marriage. Both of these issues figure prominently into why Healey was killed. 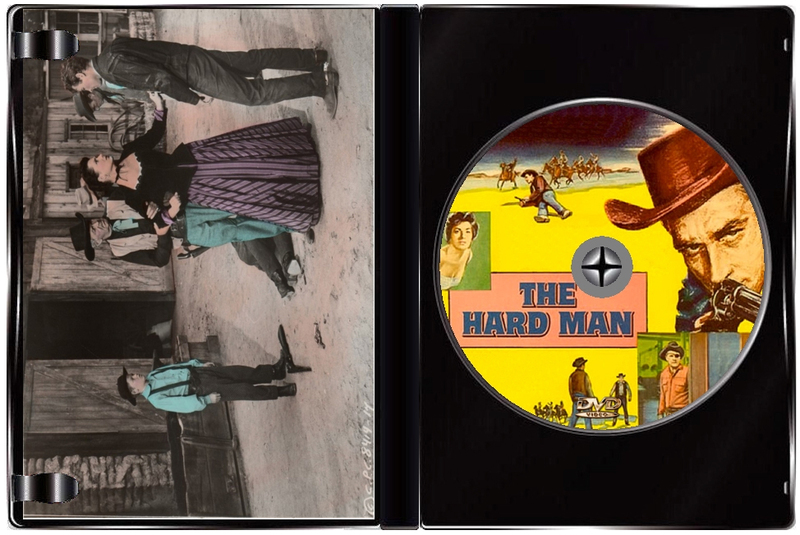 This is the type of film that is perfect for a lazy Sunday afternoon - like all those TV westerns from 50s/60s which most fans of this genre grew up with - when men were men, spoke deep, dressed clean and drew sixguns easy fast. This is a better western than some made in the 50's. 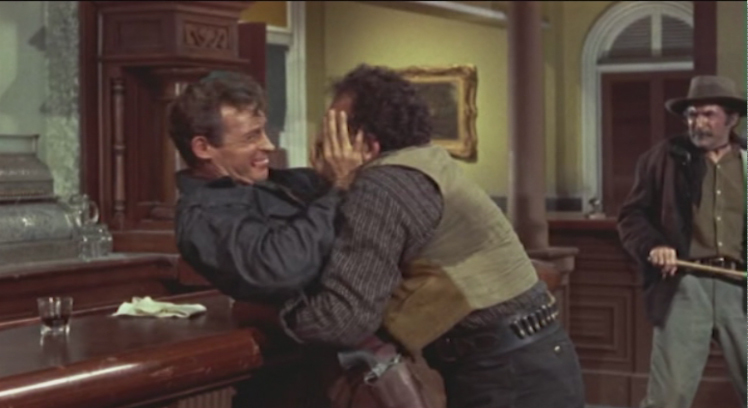 Guy Madison is good as the reluctant fast gun. 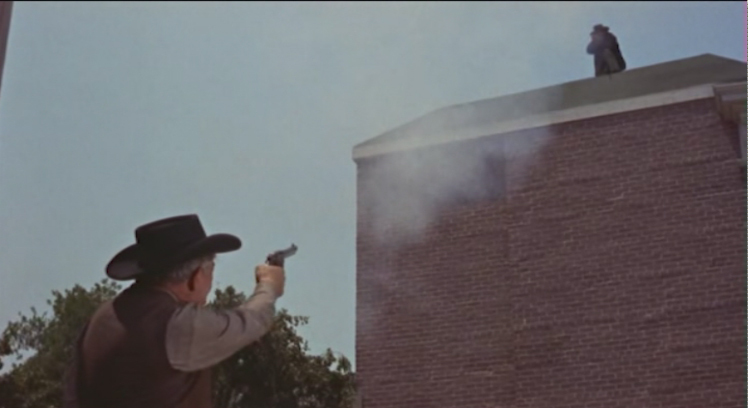 Lorne Greene (pre-Bonanza) is excellent as a thoroughly ruthless land baron. Valerie French is beautiful. Sadly it must be pointed out that Myron Healy, who has been in countless pictures, is not even credited despite being the axis around which the story turns. Madison does a good job of showing how a lawman can sometimes be as ruthless as the outlaws if not careful. Hollywood Scrapheap is dedicated to providing high quality dvd copies of classic and neglected films for both collectors and fans. I have extensive experience in the entertainment industry and know how much work went into these films - they deserve to be seen in better quality than crappy VHS or TV rips! I only sell copies that I myself would watch. All films are given quality custom menus and packaging along with disk art - in short, the loving attention they deserve!